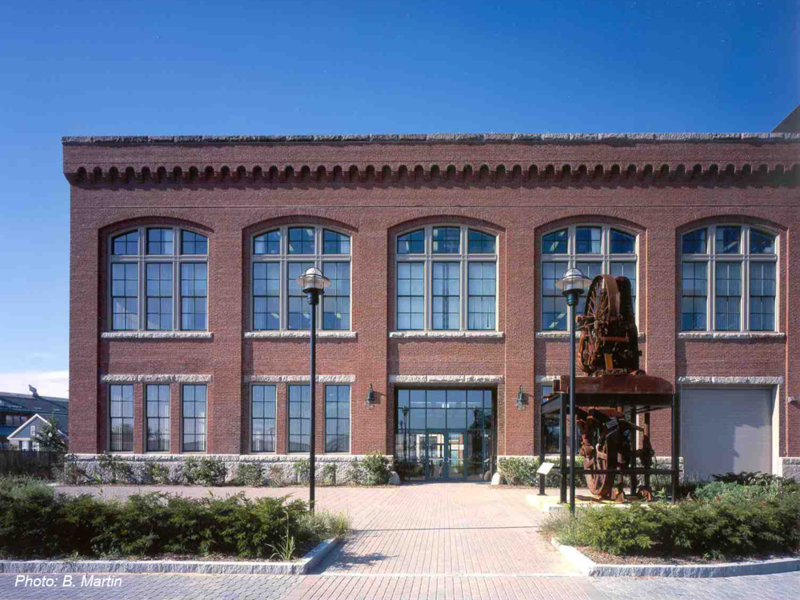 Part of the historic Charlestown Navy Yard, Building 114 was a derelict former Navy joinery building before being renovated as a biomedical research facility. The landscape at Building 114 extends the Boston Harborwalk by inviting pedestrians through the building to a large plaza on the harbor at the back of the building. The rear plaza at Building 114 also incorporates an outsize band saw from the building's historic former use as a strong focal point.